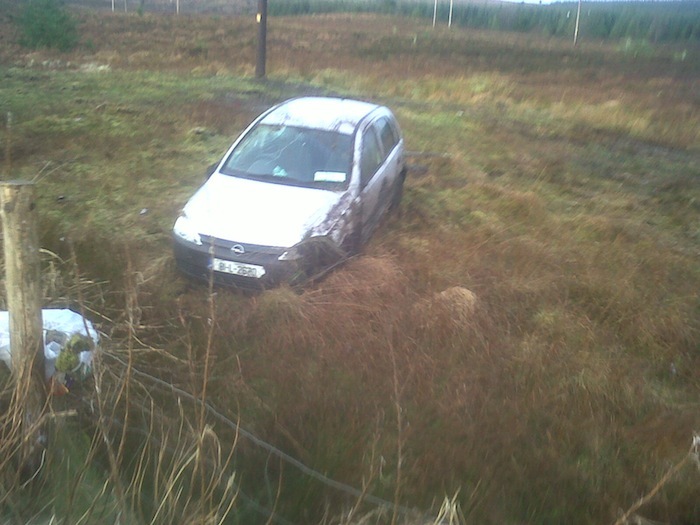 This is the scene outside Ballybofey this morning after a car went off the road ending up badly damaged. The silver 01 Opel Corsa car, registered in Limerick, was badly damaged at its front. Passing motorists slowed down to see if there was a driver still at the scene. 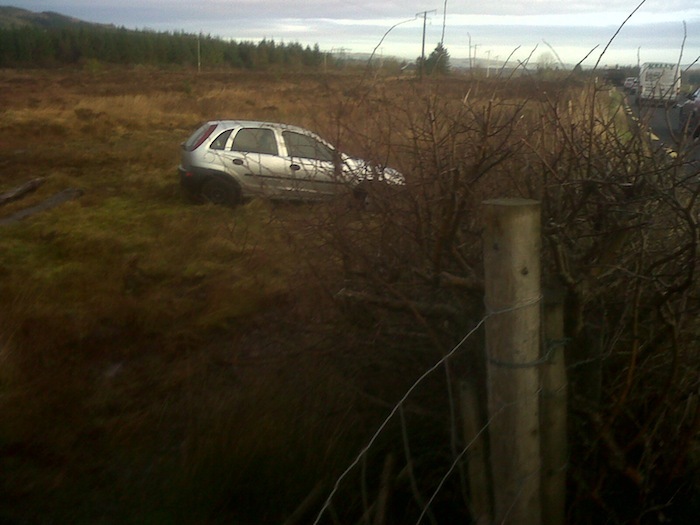 The crash to place approximately 3 kms outside Ballybofey on the way to Barnesmore Gap.